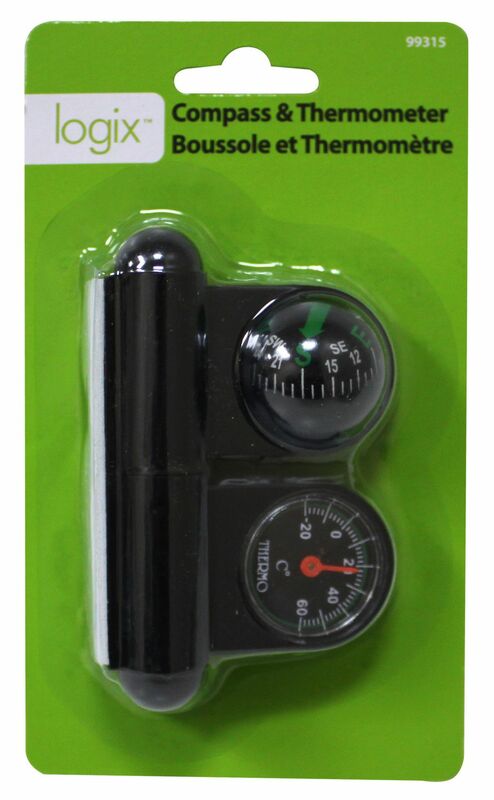 Brand new car compass ball with thermometer, perfect navigational tool for vehicle! Fast and accurate response. Easy to read dial. Suitable for car, van, caravan truck and boat. Perfect for travellers. Adjust upward or downward for better viewing angle. Temperature range: -20°C to +60°C.